Thank you for the mentoring and time serving as a preceptor to Des Moines University (DMU) osteopathic medical students*. To request CME credit for preceptoring DMU osteopathic medical students, read the guidelines below and complete the form. Preceptor hours are no longer generated from the student evaluations or accepted via email or phone. All requests for CME credit must be entered below. Submitted hours are compiled on a quarterly basis and will be added to your DMU CME transcript. A one-month grace period is given to allow time to enter preceptor hours. Hours entered after this grace period may be forfeited. The hours are processed by the DMU CME office four times a year (January, April, July, and October). Once processed, you will receive a separate email with instructions on how to access your CME documentation. Read the frequently asked questions for more information or contact DMU CME at cme@dmu.edu or 515-271-1596. DO's - The submitted hours are reported to the American Osteopathic Association (AOA) on the physician's behalf every 3 months (January, April, July, October). The hours are eligible for Category 1-B credits which can be utilized for licensing purposes. A maximum of 60 AOA Category 1-B credits for preceptoring may be applied to the 120-hour, 3-year requirement. AOA board certified physicians must earn a minimum of 50 specialty CME credits in each primary specialty every three-year cycle. These credits may be earned in Category 1 or Category 2 and will meet part of the minimum CME requirements for AOA board certification. When DMU submits the osteopathic physicians preceptor hours to the AOA, they will assign specialty credits as appropriate. No additional documentation is needed from the osteopathic physician. For additional information regarding specialty credits, please visit the AOA CME Specialty Credits website. MD's - DMU is an AOA residency and teaching residents, medical students or other health professionals meet the requirements for AMA PRA Category 2 Credit™. The hours are self-reported by the physician and should include the activity title or description, subject or content area, date(s) of participation and number of credits claimed. * Unfortunately, credit is NOT available to physicians for preceptoring physician assistant students, podiatry students, or physical therapy students. The form must be submitted separately for each preceptor that spent time with a student. Multiple preceptors on a single form will NOT be accepted. For purposes of credit calculation, a week is defined as 40 hours of precepting. Credit for preceptoring is awarded on a per-hour basis not to exceed 40 hours per week. For example, during a single rotation, if a DMU student was with you for 2 weeks, you may claim a total of 80 credit hours for the rotation. If the student spent time with more than one physician during a single rotation, the physicians cannot each claim hours commensurate with the full length of the rotation. For example, if a DMU student had a 1-week rotation in your practice and spent time with two preceptors, both physicians cannot claim 40 hours. If a preceptor has multiple students during the same time period, credits are not multiplied based on the number of students. For example, if a preceptor has two students for a 4-week rotation, only 160 hours can be claimed. Please provide your AOA number. The AOA number is requested for reporting purposes. Your information may be shared with the Development and Alumni Relations department. The email address is used for reporting and documentation purposes only. Support staff email addresses will NOT be accepted and CME credit will be forfeited. This individual will receive a copy of the submitted CME preceptor hours. 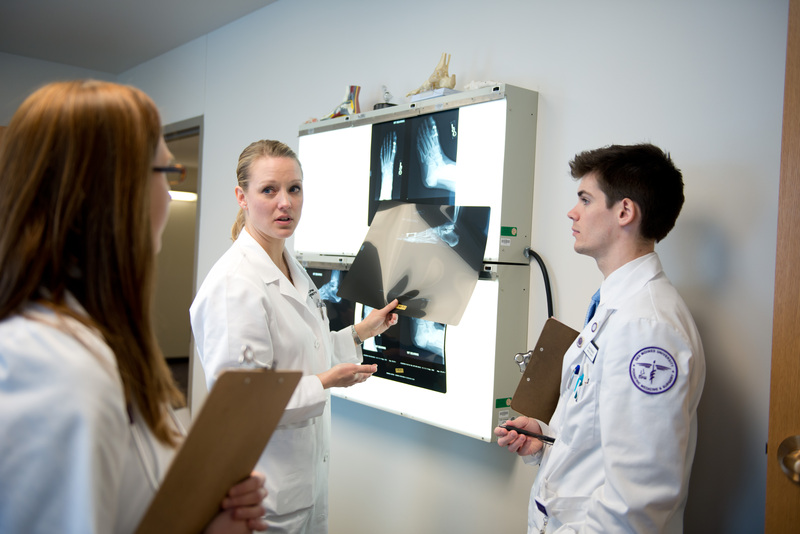 If the student spent time with more than one physician during a single rotation, the physicians cannot each claim hours commensurate with the full length of the rotation. For example, if a DMU student had a 2-week rotation in your practice and spent time with two preceptors, both physicians cannot claim 80 hours. If a preceptor has multiple students during the same time period, credits are not multiplied based on the number of students. For example, if a preceptor has two students for a 4-week rotation, only 160 hours can be claimed. Please indicate the month in which the rotation began. Please indicate the calendar year in which the rotation began. I attest that the hours above are correct and are for preceptoring DMU osteopathic medical students only. Please note: If you are required to complete a student evaluation, claiming CME hours DOES NOT fulfill this requirement. Please be sure to also complete the student evaluation for this rotation. If you have questions about this process, please email COMAffiliations@dmu.edu.